J. Timmons Roberts is the Ittleson Professor of Environmental Studies and Sociology at Brown University, Non-Resident Senior Fellow at the Brookings Institution, and a Faculty Fellow at the Watson Institute for International Studies at Brown. He has published over seventy articles and his books include A Climate of Injustice: Global Inequality, North-South Politics, and Climate Policy (with Bradley Parks, 2007) and Trouble in Paradise: Globalization and Environmental Crises in Latin America (with Nikki Thanos, 2003). Amy Bellone Hite is Chairperson of The Division of Social and Behavioral Sciences at Xavier University of Louisiana. 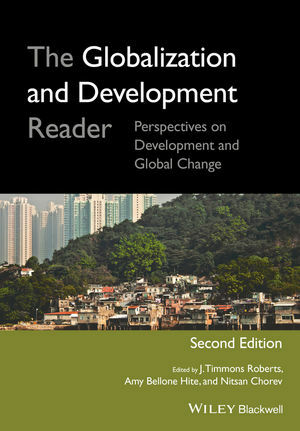 In addition to articles on urbanization and development, gender and class in Latin America, and demographic changes resulting from Hurricane Katrina, Bellone Hite has co-edited two prior volumes with J. Timmons Roberts. Nitsan Chorev is the Harmon Family Professor of Sociology and International Affairs at Brown University. She was recently a Fellow at the Woodrow Wilson International Center for Scholars, and a member at the Institute for Advanced Study, Princeton, NJ. Her publications include, The World Health Organization Between North and South (Cornell University Press, 2012) and Remaking U.S. Trade Policy: From Protectionism to Globalization (Cornell University Press, 2007).